A truck cake is a way to personalize a birthday cake, just for them. Whether it is a replica of their work truck or a truck of their dreams, given to the right person will make them remember it forever! Choose their favorite cake flavor and filling and it will truly be something special. 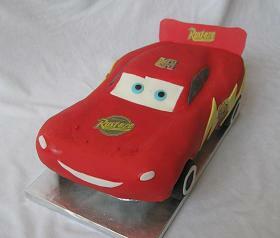 This Ford truck was made special for Carter who was celebrating his 2nd birthday. 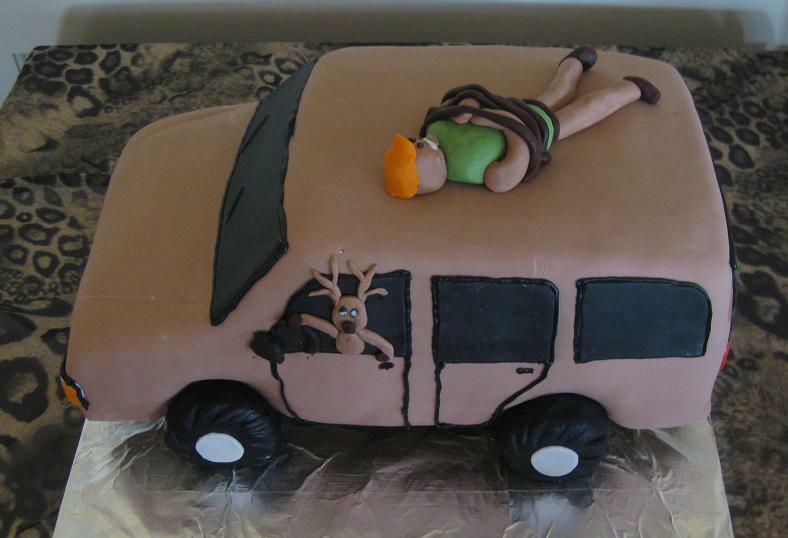 Everything was edible, even the tires! His Paw Paw drives this old pickup truck and he loves riding in it! 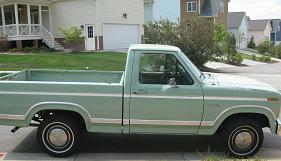 We used pictures of the truck to go by for the colors and general appearance. They wanted two cake flavors, chocolate and vanilla. We made the truck cabin out of chocolate cake and the bed out of vanilla cake. The icing and filling was buttercream and the decoration covering was our hand made marshmallow fondant, yummy! Carter was surprised to see it and loved the cake. Happy Birthday Carter! 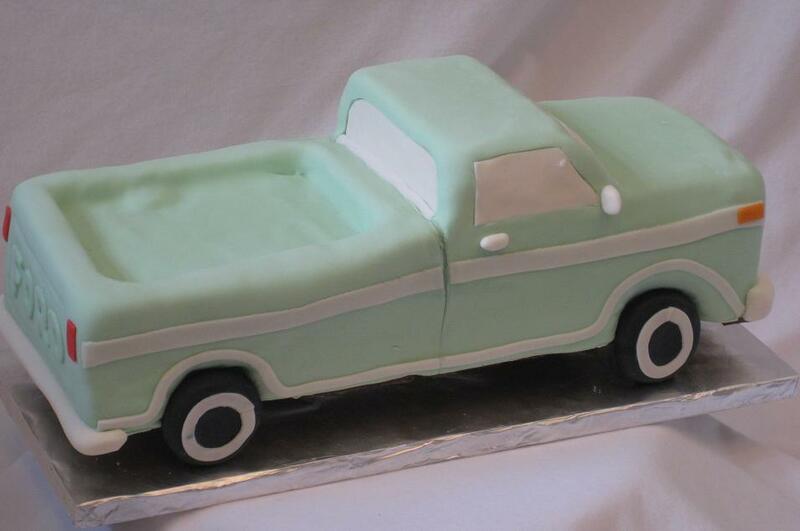 ~ Ask Steph about a truck cake here! 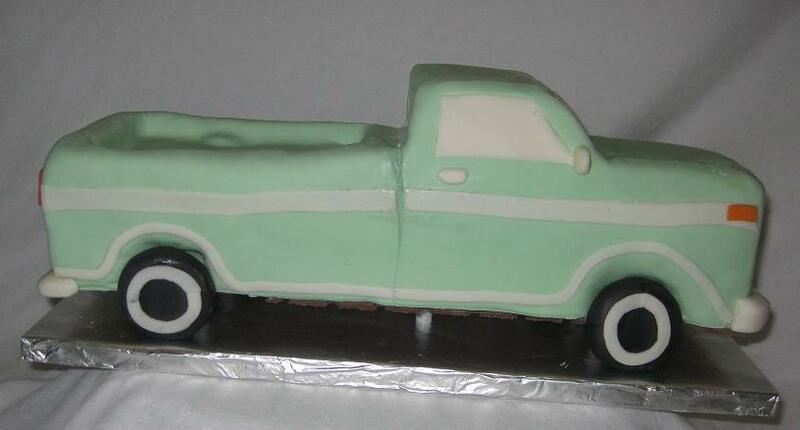 There are so many truck theme cake ideas to choose from. From monster trucks, hunting trucks, racing trucks, and old trucks. 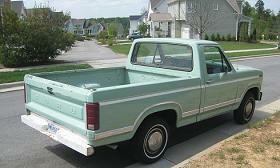 Below is an example of a sportsman's hunting truck theme in reverse! 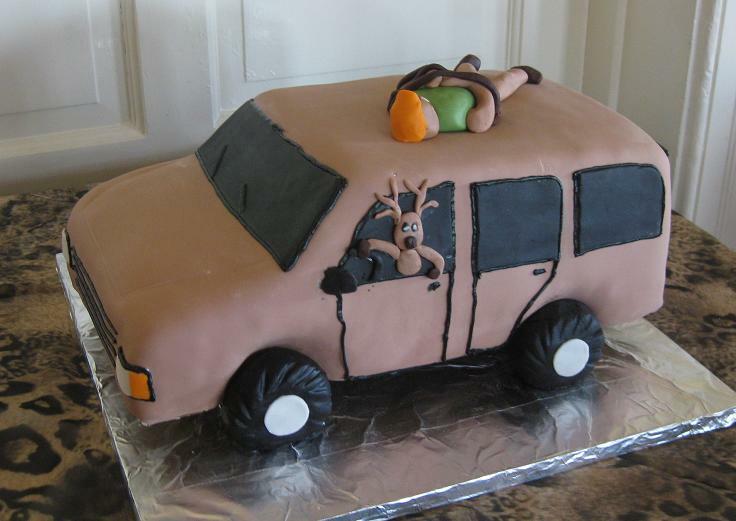 If you notice, the deer is driving with the hunter tied to the roof! Sheila B. from Hillsboro ordered this truck birthday cake for her husband, an avid deer hunter. They were also celebrating his retirement with something he loved...and a little fun! The cake flavor was Black Forest cherry cake. It’s a mix of chocolate cake with whipped icing and cherries. This hunters truck cake was covered and decorated with our hand made marshmallow fondant. If he loves his truck, then give him something to remember! 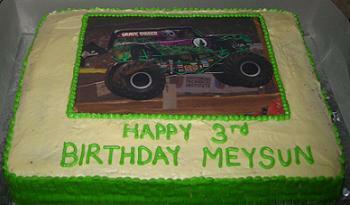 Tinaya, from Raleigh, NC ordered this monster truck cake for her son Meysun’s 3rd Birthday. Meyson loves his monster trucks and he knows the real ones from the amateurs! This monster truck was French vanilla with raspberry filling covered with butter cream icing and an edible frosting picture of the Grave Digger monster truck. If not a truck, how about a car? Birthday cake theme pictures from Piece A Cake in Holly Springs and Fuquay-Varina right outside of Raleigh, North Carolina makes incredible and deliciously edible theme cakes for any occasion. 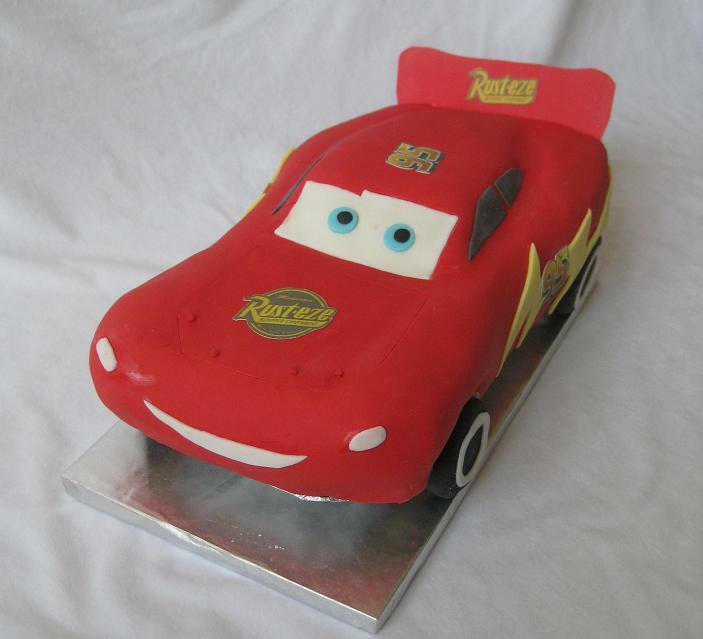 This cars cake theme of Lightening McQueen was all cake! Well, the cake board was not edible, but everything else was.